I literally just finished Citizen Hollywood, the third in Martin Turnbull’s “The Garden of Allah” novels. Once again he has delivered. Gwendolyn, Katherine and Marcus are so well developed that you feel like they are old friends. The way Martin brings old Hollywood to life is a joy and I find myself wishing I had been a part of it. Since reading the trilogy, I can’t watch an old movie with Orson Wells, Tallulah Bankhead, Errol Flynn, Humprey Bogart, et al, without thinking about the residents of The Garden and wondering how Gwendolyn, Katherine and Marcus would feel about how their movies have stood the test of time and what Hollywood has become over the years… Please tell me there is a fourth book on the way. Having read the other two already (and out of order), I bought the 3rd one last Friday night and finished it Saturday night. I literally stopped for bio breaks and food….that’s it. I love the characters with all their flaws – they seem real – and the period seems spot on. I moved to Los Angeles in 1986 and love all the history. Very familiar with the area where the Garden of Allah used to be. I’ve already emailed the author to see when the next book is coming out. Hope you enjoy the series as much as I do. I’m completely hooked on this series. The characters are completely affable and I love the plot. It’s the kind of book that you don’t want to end because it’s so enjoyable, yet you compulsively keep turning the page thus ending the journey too early. I look forward to reading more. Mr. Turnbull is a master at cliffhangers, breathes vivid life into long gone celebrities in a manner that allows one to live vicariously through the story’s hero and heroines. This is a great and fascinating period in entertainment history and is thoroughly a worthwhile read. Have fun! 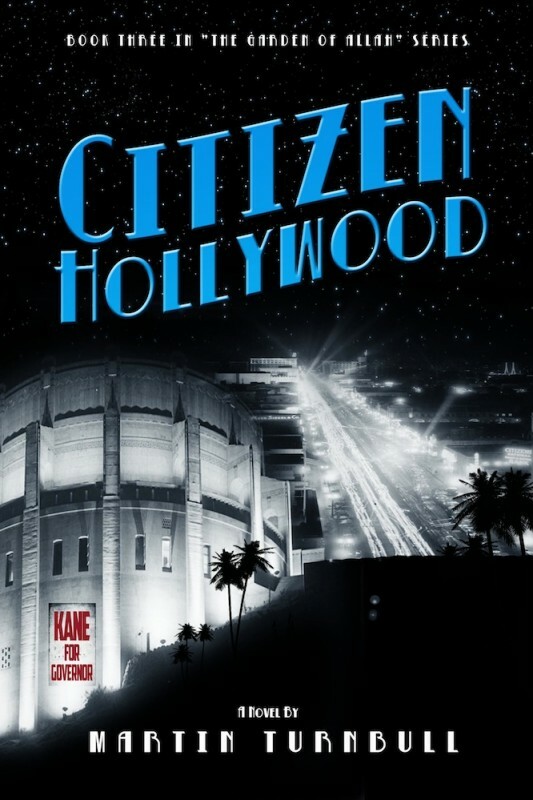 When William Randolph Hearst realizes Citizen Kane is based on him, he won’t be happy—and when Hearst isn’t happy, nobody’s safe. Marcus, Kathryn, and Gwendolyn need to go for broke, and the clock is ticking.